As a United States military veteran, Andre learned three core values of integrity, service before self, and excellence that he lives by and applies when coaching and personal training. Since entering the fitness field in 2004, Andre has accumulated a wealth of fitness knowledge that he loves to share with others. 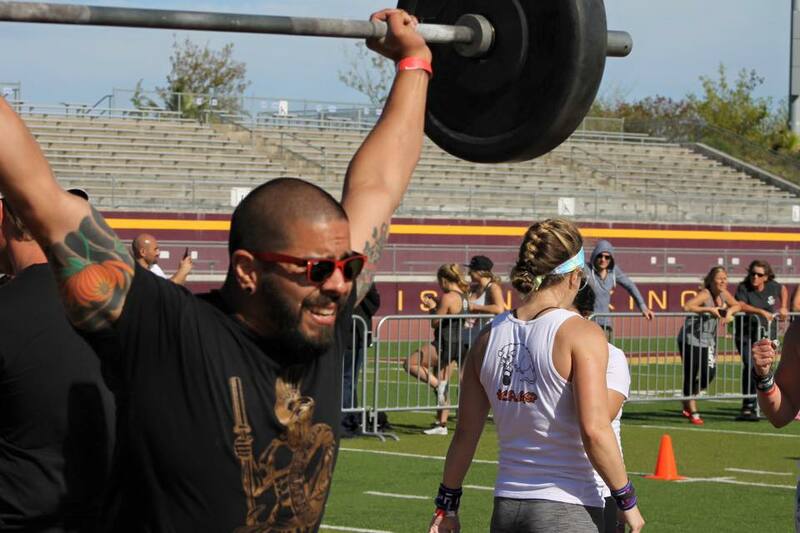 In 2011, he obtained his Level 1 CrossFit instructor certificate, and in 2014 earned his Kinesiology degree from San Jose State University, emphasizing in exercise and fitness. In 2018, he also obtained his USA Weightlifting Sports Performance Coach certification. He has participated in a variety of fitness related activities, including powerlifting, CrossFit, triathlons, mixed martial arts, and Olympic weightlifting. Clients benefit from his vast array of experience, as well as his willingness to go to great lengths on their behalf; all which have helped him become one of the best coaches and personal trainers in the area. In 2011, Holly graduated from Long Beach State with a bachelor of science degree in Kinesiology, emphasizing in Exercise Science. She has been active her entire life and has always been passionate about health and fitness. Over the past 12 years, she has spent countless hours interning, and working for physical therapists, exercise physiologists, nurses, and other distinguished health care professionals. She experienced first-hand the importance of preventive care, and maintaining the physical health and wellness of the body. Holly is currently in school working towards her Registered Nursing degree. Her skill and knowledge in the industry is a testament to her strengths as a coach and athlete. Robert Lira is a strength enthusiast, a competitive Lightweight Strongman and MAS wrestler for Team USA. He has also competed in power lifting and functional fitness competitions. In early 2016, he competed at the renowned Arnold Sports Festival in Amateur Strongman. Once he obtained his Bachelor’s Degree in Mechanical Engineering with a Minor in Physics from San Jose State, he began learning as much as he could about Strength and Conditioning. As a coach he continues his pursuit of knowledge and applies it towards helping people reach their fitness goals. Jaci was introduced to CrossFit in 2013 and hasn’t looked back since. She began as a member, who was out of shape and had to scale all of movements. Most of her free time was spent at the gym, and with the people there as she kept working towards the goals she set for herself. Fitness and nutrition started to become a top priority, and her body and self-confidence started transforming. Through her own transformation, she was inspired to obtain her CrossFit Level 1 Instructor certificate. From nutrition to Olympic lifting and body mechanics, Jaci continues to learn from fellow coaches. As part of the coaching staff, she enjoys watching members surpass their fitness goals. Being a single mother, family and community are extremely important and is what keeps her coming to CrossFit Mora. She is amazed at the respect that is shown to all members, and is happy to call CrossFit Mora her home.